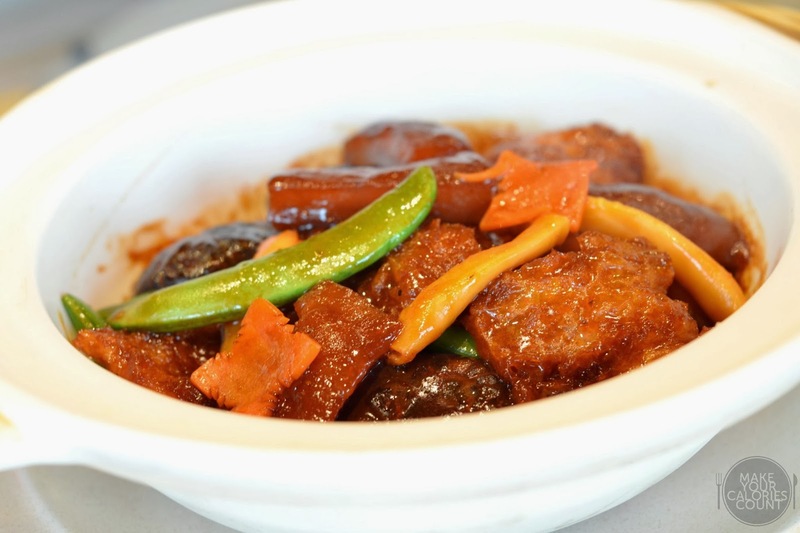 [SG] Dian Xiao Er | 店小二 | Chinese New Year meals with a warm touch! 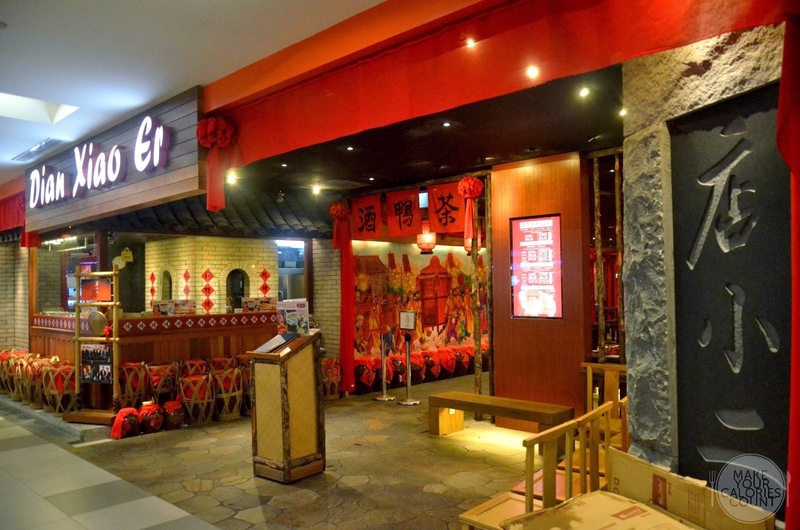 Dian Xiao Er is one of our favourite Chinese restaurants when it comes to casual dining. 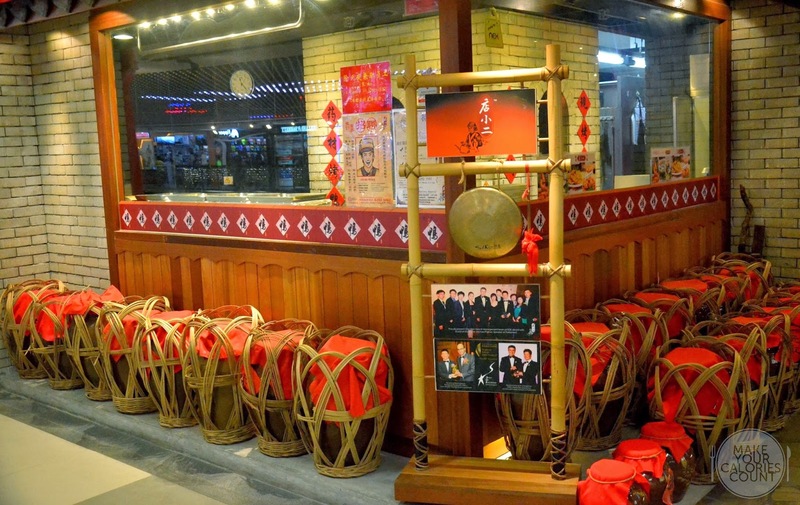 Like the olden days, Dian Xiao Er (which literally translates to servers at inns or taverns) symbolizes a pit-stop for travellers to rest and replenish their energy before setting off to continue hectic journeys. In the modern context, I guess we all need to take a pit-stop to load up on calories before jetting off on a hectic journey of shopping! 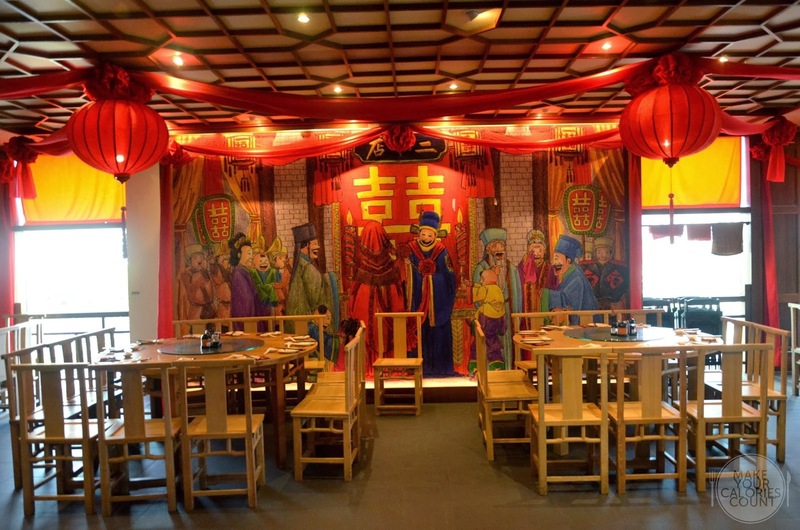 When we first arrived at Dian Xiao Er, we were warmly greeted by the receptionist with smiles. It warmed our hearts immediately and the vibe we received was friendly and homely. Sometimes, I feel that it is that extra effort taken by the staffs which made all the difference to a meal, be it a simple sincere greeting or a hearty smile. While we continue our hunt for Chinese New Year reunion dinners, this visit to Dian Xiao Er made me reflect upon one simple question. What is the purpose of a reunion dinner? Personally, I do not think it is necessary to have a reunion dinner per say, just to bring people together at a single place and enjoy each other's company. It is certainly helpful to have an occasion to celebrate, such as the upcoming Chinese New Year where it is an opportunity for family members and friends to come together in the midst of animated and passionate discussions to enjoy a sumptuous meal! 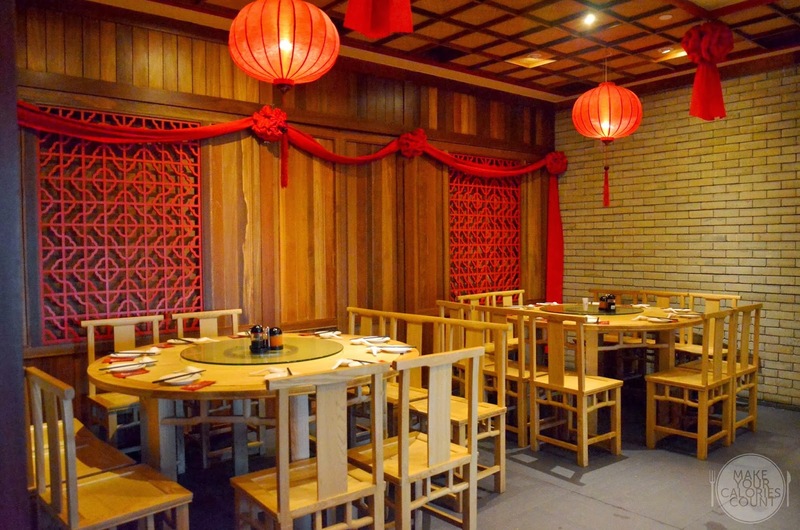 Apart from the customer service which touched us, can the food at Dian Xiao Er impress us? 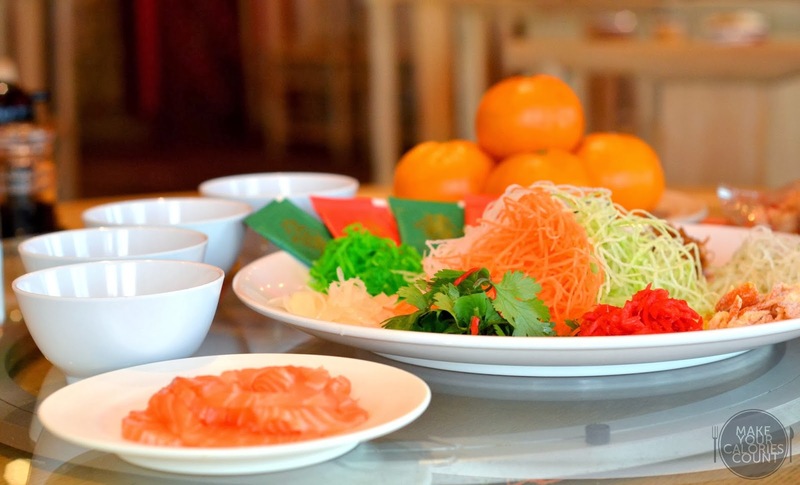 Like most Yu Shengs served at Chinese restaurants during the Lunar New Year season, the server would recite and bless the diners at the table with a series of good wishes, such as prosperity and good health. Admittedly, the Yu Sheng was not a dish that impressed. On a fairer note, it tasted pedestrian but adjusted to the liking of most Singaporeans whereby it uses sweet plum sauce as the main condiment over the sliced radish and array of other accompaniment sides. In comparison, I actually preferred the savoury rendition tried previously at Park Palace. That of course has a hefty price tag to match. What made this "Lo Hei" unique and heart-warming was the auntie in the picture. 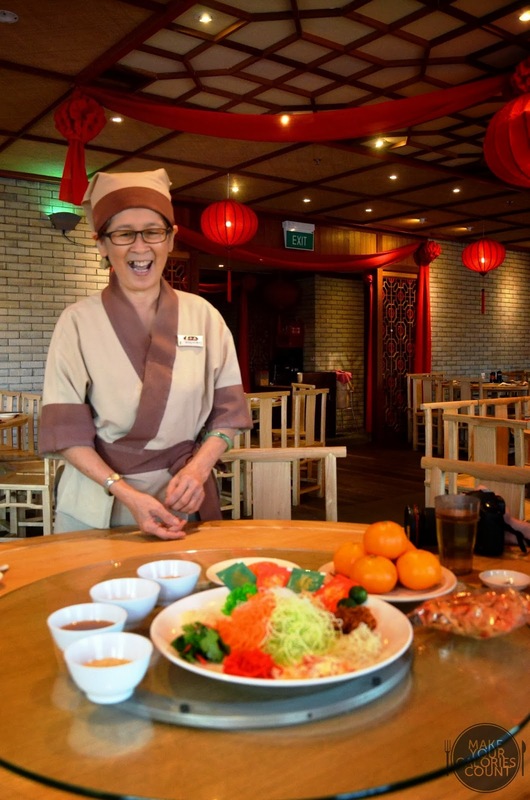 She might not have given the best recital speech when it came to serving the Yu Sheng but the smiles and blessing coming from an affectionate mother-like figure was simply priceless. If you are a fan of viscous soups, this would certainly draw you in. 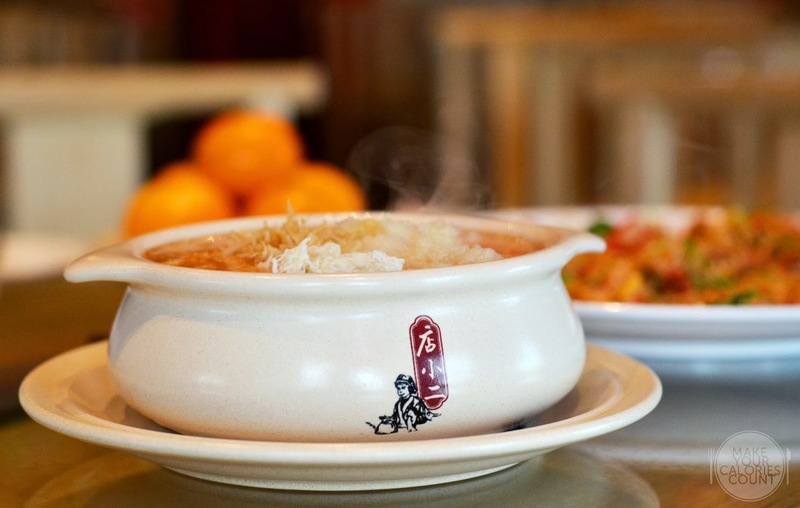 Expect a generous serving of fish maw and shredded crab meat in each bowl of goodness. 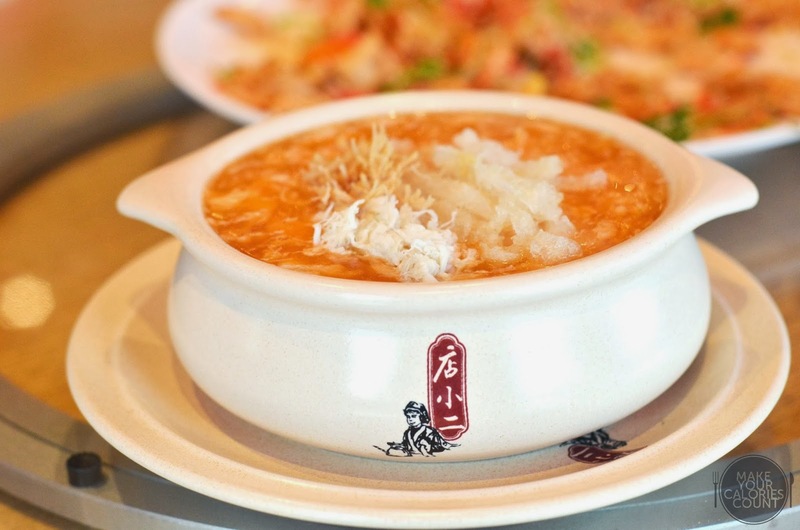 The crab meat has been specially added to the soup only for the Chinese New Year menu. Personally, I found it to be quite heavy on our palate as it was flavourful and every spoonful seemed to be filled with plenty of ingredients. This dish needs no introduction as people familiar with Dian Xiao Er would be well acquainted with the flavours and taste. The skin was thin and crisp with just a fine layer of fat underneath to add to that juiciness. 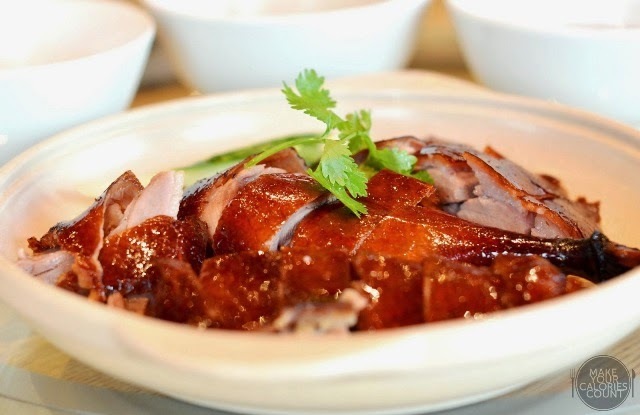 The tender duck meat was beautifully complemented by the crispness and ogling at the dish was sufficient to make us salivate. We were privileged enough to have a tasting of all three sauces; angelica herb (当归), ten wonder (十全) and wild ginseng (泡参). The angelica herb (当归) bore a slight tinge of sweetness while ten wonder (十全) is the preferred safe choice for many and is what Dian Xiao Er is famous for. It would surely appeal to those with a more savoury appetite. Conversely, the wild ginseng (泡参) would suit those with an inclination for a stronger herbal taste and opting for this sauce would come at a slight premium, in terms of pricing. This was my favourite dish for the entire meal with the presentation scoring points as soon as it was served to the table. 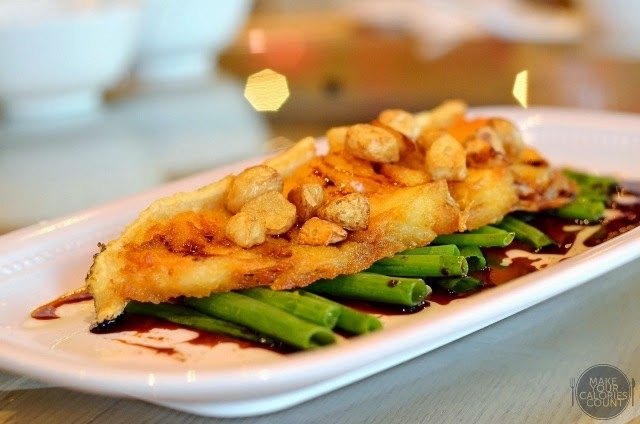 The delicate cod fish was well-handled, being sliced uniformly and deep-fried to a beautiful golden brown colour. We loved the complementing textures with a nice friable and crumbly coating on the outside matched by a tender and soft fresh cod fish on the inside. For those who desire an extra crunch and do not mind the calories, you would relish in delight (a sinful one) as you munch through that crispy skin attached to the white protein. The clever use of superior soy sauce subtly enhanced the flavours and allowed the natural freshness of the cod to be delivered across to the diners' palate. I found this to be an ingenious new dish on the menu. Aesthetically presented to resemble firecrackers, the thinly sliced pork wrapping sausage and Chinese coriander was carefully rolled and deep-fried before being coated with the classic sweet and sour sauce. While I appreciated the work involved in creating this dish, I was left slightly disappointed after the first bite as it gave a "hollowed-out" effect whereby the inside of the pork-roll felt "empty". I would have preferred it more if the filling was denser with added texture. We were asked for our feedback as the chefs behind the scenes look to improve this new dish recently introduced to the menu. I liked that the chefs were receptive to diners' feedback and moving forward, I felt that constantly changing and adapting to the customers preference is key to success within the competitive F&B scene. Overall, it was a good dish but requires some improvement to make it a more palatable dish. Like what the name suggested, it was a luxurious bowl of delicacies such as sea cucumber, Chinese mushroom, fish maw coupled with some greens like sweet peas and carrots. Expect a pot of savouriness though it is another dish which weighs on tastes and flavours. My lament for Chinese cuisine is always at the end where typically the desserts were nothing to shout about. I stand by my case, until a restaurant comes around and proves otherwise (Eight in Macau was close but not quite...), that Chinese desserts have room for improvement. 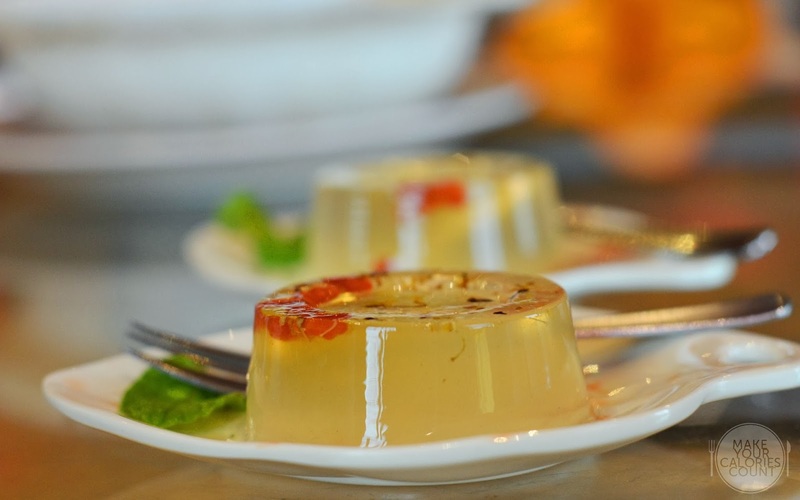 This was one of the better Osmanthus Jelly Desserts tried with a subtle sweetness that pleased our palate. It was a very light dessert that helped to balance out the savoury dishes tried. While we were invited to try out some of the Chinese New Year dishes, it would only be available to public from 18 January 2014 onwards. With various offerings of set menus catered for different size groups, you may wish to refer to the comprehensive menu here. Dishes are generally served very quickly (even when we visit on a normal occasion, i.e. not tasting session) For those new to their dishes, the mains tend to be on the savoury side and incline towards heavier flavours and tastes (重口味). It would however be suitable to enjoy the dishes with white rice. 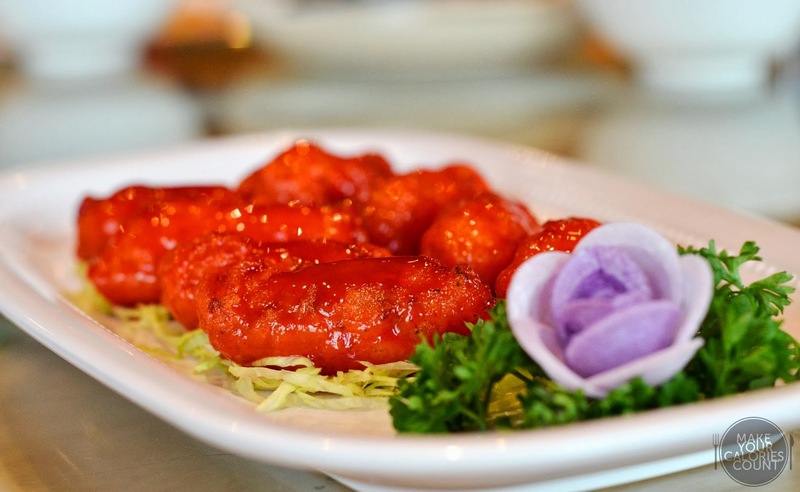 My takeaway from visiting Dian Xiao Er over the past years had always been consistent, that warm and friendly feeling which resonates a homely meal. 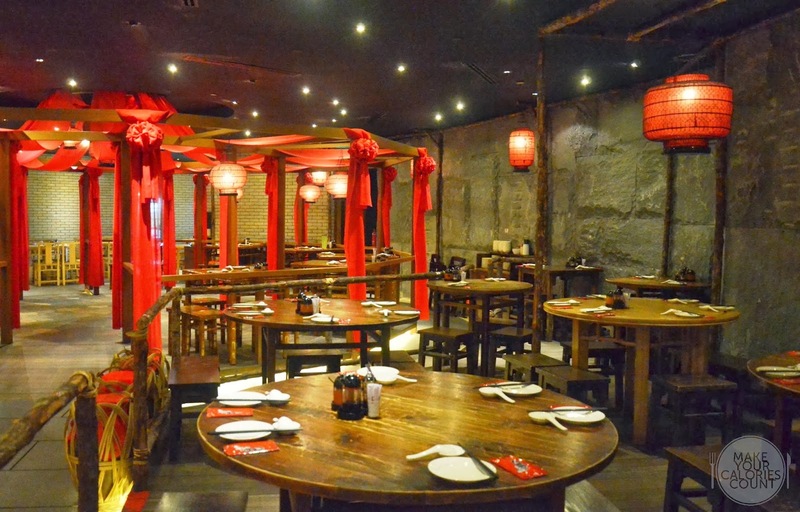 Customer service have always been meticulous and surely lives up to the restaurant's name of Dian Xiao Er! P.S: Thank you to Dian Xiao Er for hosting us for the tasting session!